How To Make Cinnamon Scented Pinecones - 2 Ways! 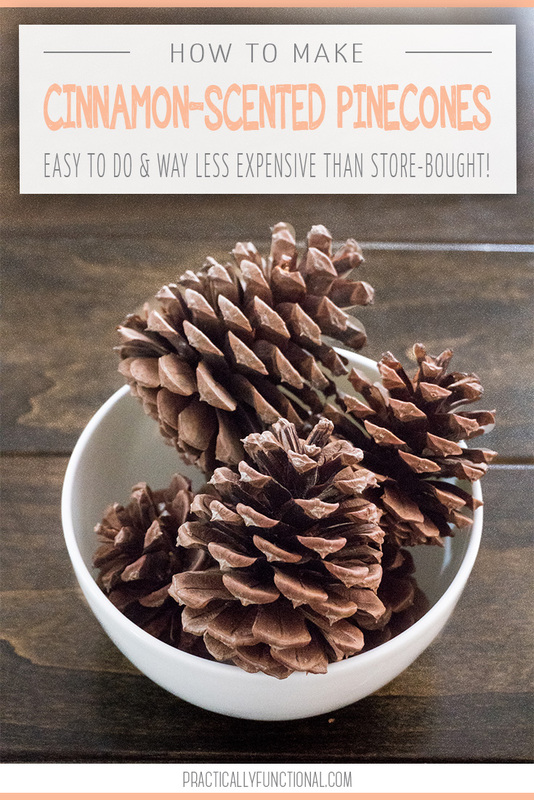 Home > Projects > Crafts > How To Make Cinnamon Scented Pinecones – 2 Ways! Pinecones are probably my favorite fall and winter decor; they’re just so pretty! Now that the weather is starting to get cold, I see scented pinecones on the shelves every time I’m in Michaels, and they smell fantastic! But I also see tons of fallen pinecones on the ground when we’re out on a walk, so I figured that this year I would make my own cinnamon scented pinecones to use in my decor. 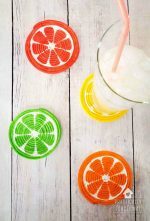 It’s super easy to do, doesn’t cost hardly anything, and the scent is 100% natural and lasts way longer than store-bought! 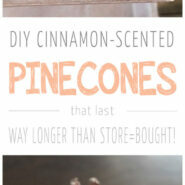 So today I’m going to share how to make cinnamon scented pinecones, two different ways! The easiest way to do this is to use essential oils, but if you don’t have essential oils, you can also use ground cinnamon to add that fun fall scent to your pinecones! Start by getting some pinecones! 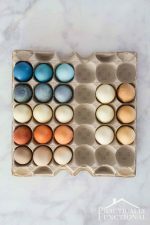 You can either buy plain, unscented ones from a craft store or online, or you can pick some up in your neighborhood. If you gather fallen pinecones from the ground, you can use ones that are already opened up, or you can use the smoother ones that are still closed because the heat of the oven will open them up. Regardless of which method you use to scent your pinecones, you need to prep them first. 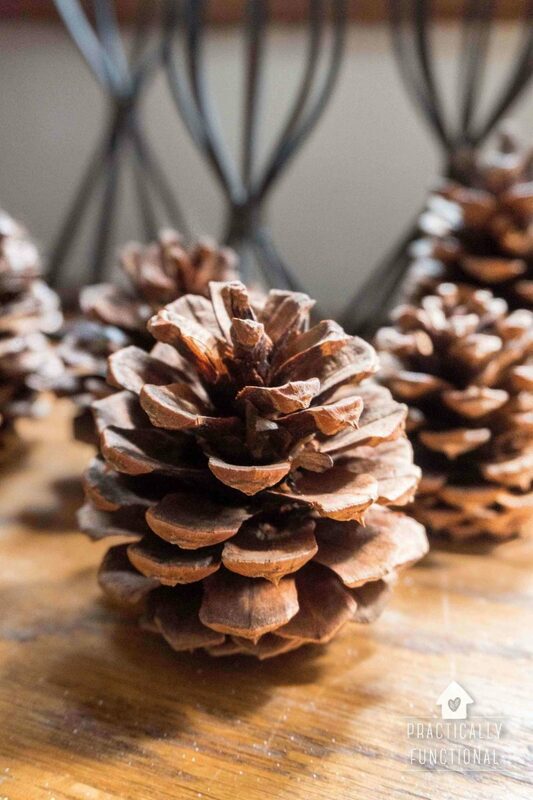 If you buy plain pinecones, they are probably already cleaned and dried, but if you pick up pinecones on a walk, you’ll want to make sure they are free of sap and that there are no bugs living inside of them before you use them in your decor! Preheat your oven to 200 degrees F and line a cookie sheet with foil. Place the pinecones on the cookie sheet on their side. 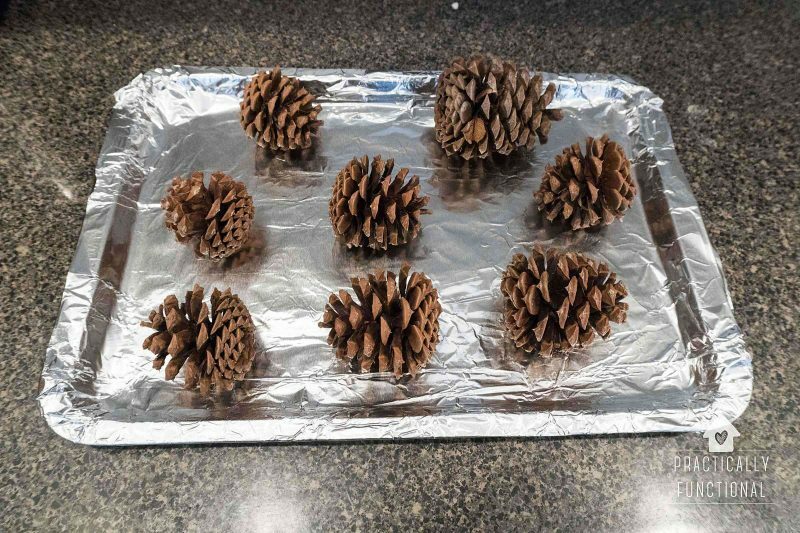 Bake the pinecones in the oven for about 45 minutes. This will heat up the sap and allow it to drip off the pinecones onto the foil below, and will kill any critters living inside the pinecones. If your pinecones were still smooth and closed, the heat of the oven should force them to open up. Pull the pinecones out and let them cool on the foil-lined cookie sheet until they are room temperature before adding any scent to them. Using cinnamon essential oil will give you the strongest, longest-lasting scent. Make sure that you are using essential oil and not anything called “scent” or “fragrance oil”. Essential oils are 100% natural, but fragrance oil is a chemical scent produced in a factory rather than distilled directly from plants. Put 15-20 drops of cinnamon essential oil in a spray bottle and add 1/4 C of water. Shake well. NOTE: Pure essential oils are very strong and will eat away at plastic if left in a plastic container for any length of time. I used my awesome glass spray bottle from Grove for this project so that my plastic ones weren’t ruined. If you do use a plastic spray bottle, dump out any leftover essential oil and water mixture immediately after you are done. 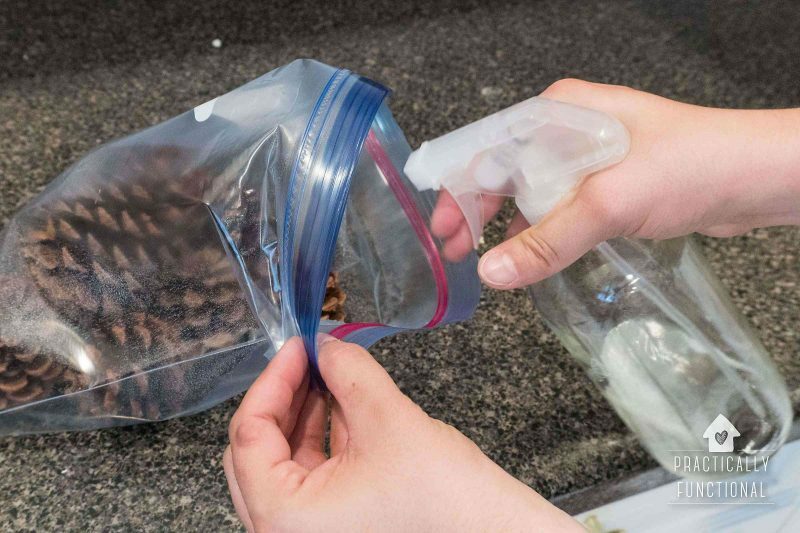 If you use the glass spray bottle you can leave the mixture for however long you’d like, and use it to re-spray the pinecones later if they start to lose their scent! 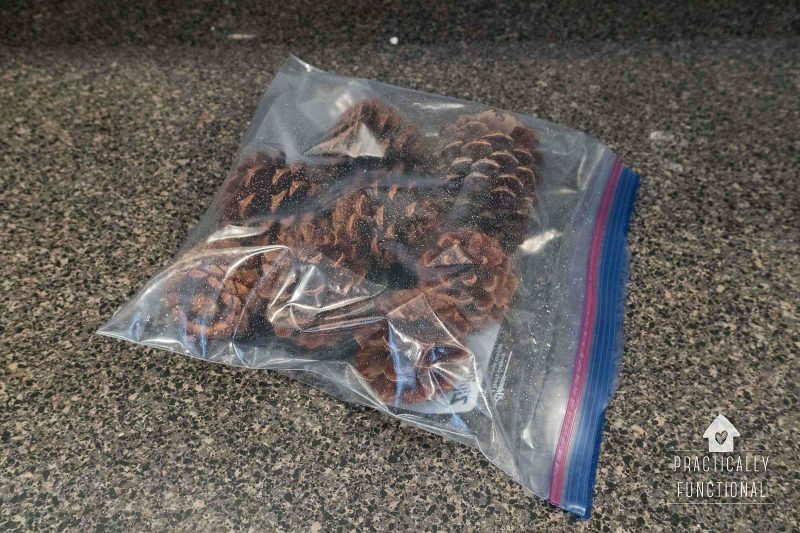 Then put your pinecones in a big ziploc bag and spray them with the essential oil mixture. 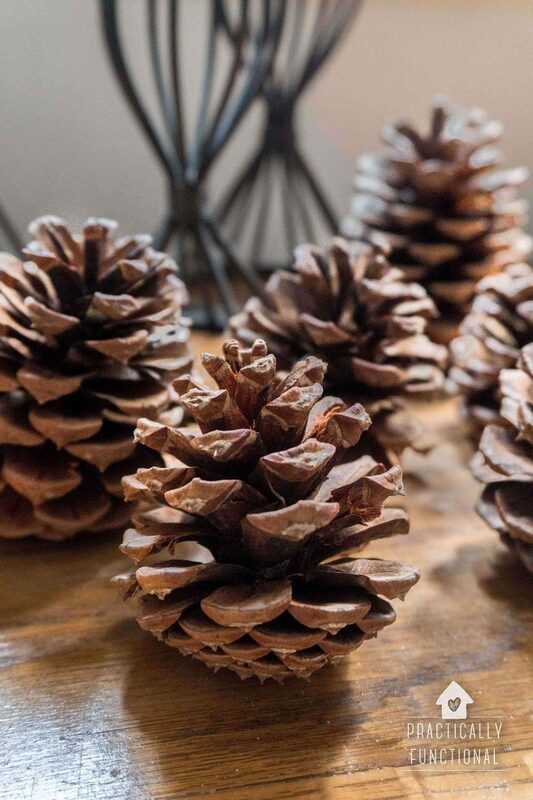 You don’t need to completely soak the pinecones, but spray them three or four times to make sure the scent is strong. 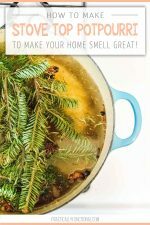 Shake the pinecones up pretty well to mix the scent around, then spray them again a few times. Close up the bag and leave it out on the counter until all of the moisture is soaked up by the pinecones. If there’s a ton of moisture in the bag, the pinecones may close back up slightly as they soak it up. That’s fine! Just wait until all of the moisture in the bag is gone, then open it up and leave it open until the pinecones dry back out and open up again. They should open back up again in 24 hours or less; if you want to speed it up a bit, hit them with a hair dryer on high, or stick them back in a 200 degree F oven for ten minutes. Then you’re ready to use the cinnamon-scented pinecones in your decor! If the scent starts to wear out, you can just spray them again! 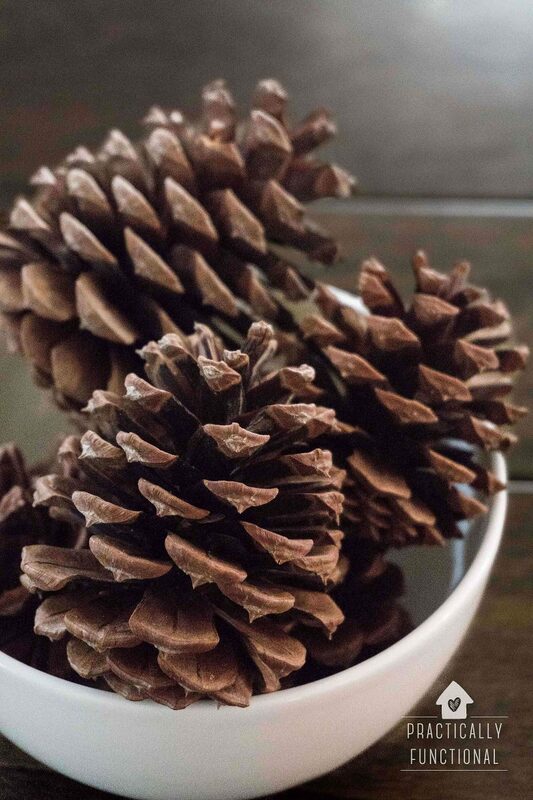 If you don’t have essential oil, you can use ground cinnamon to add that fall scent to your pinecones. It’s a little bit messier, but it will still smell great! Pour a little bit of all purpose glue into a small container and thin it just a little bit with water. You don’t want it completely liquid, but you need to be able to brush it on with a paint brush. Add a bunch of ground cinnamon to a ziploc bag. 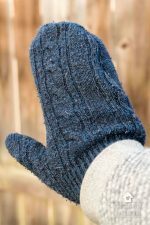 Take your pinecones and gently brush them with a very light coat of the watered-down glue so that all of the nooks and crannies are covered. Set the pinecone aside for a few minutes so that the glue can dry a little bit. You want the glue to be tacky, not totally dripping wet. Then add the pinecones to the bag of cinnamon, close it up, and shake well to make sure cinnamon gets everywhere! Gently tap the pinecones over the bag to help shake off any loose cinnamon, then set them aside to dry for a few more minutes. 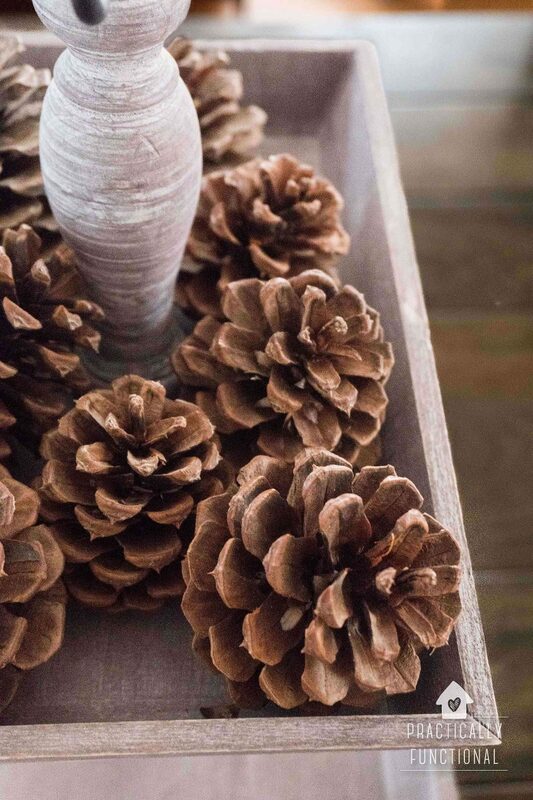 Once the glue has fully dried, you can use the pinecones in your decor! I recommend putting them on a plate or tray, just in case any more loose bits of cinnamon fall off over time. The awesome thing about making your own cinnamon scented pinecones is that it’s really easy to customize how strong of a scent you want. 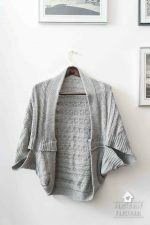 Sometimes the store-bought ones are OVERPOWERING! 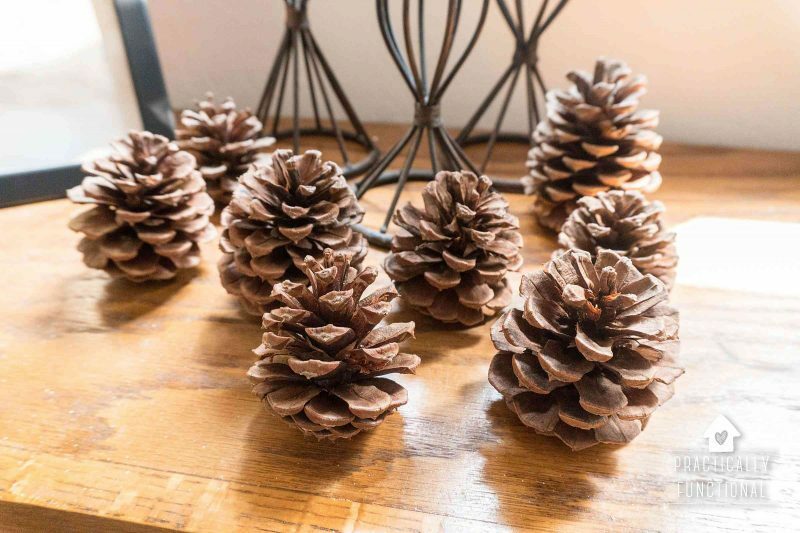 Also, it’s so easy and inexpensive to do that you can easily do it again year after year and have wonderful, scented pinecones as part of your fall and winter decor every year!